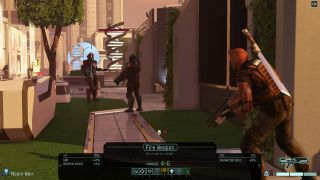 IGN were treated to a seven-ish-minute demo of XCOM 2 yesterday, and it's interesting stuff: a look at how missions will play out when your rag-tag XCOM teams start out on an offensive foot, sneakily invading alien-occupied territory. See a double Overwatch maneuver; see what one of the procedurally generated levels looks like; see an honest-to-god alien snake-lady do her thing (her thing being to squeeze the life out of us feeble humans). User-created evacuation zones, evolved alien berserkers, and carried teammate rescues are also shown. The game footage starts at around the 3:34 mark, and it's followed by a bit of a chat with XCOM 2 producer Garth DeAngelis. XCOM 2 is due this November, exclusively for PC, and here's pretty much everything we know about it so far.